I am SO excited to finally be sharing this gorgeous wedding! 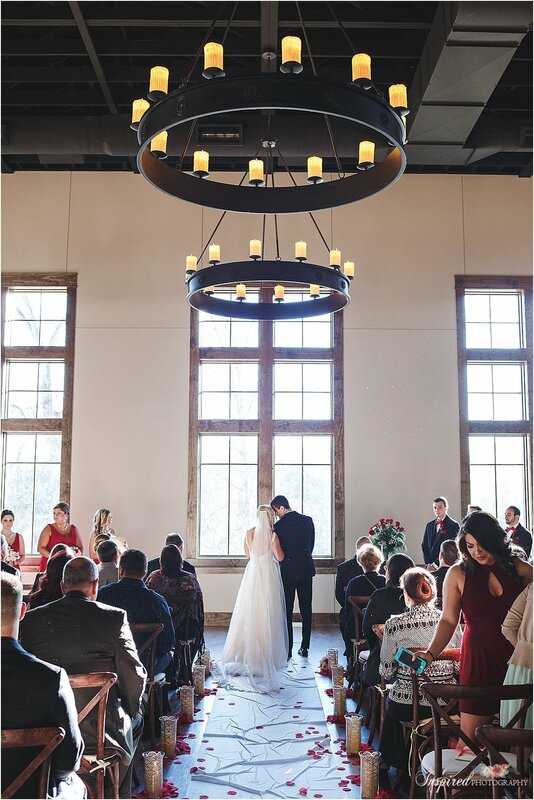 This adorable couple, this amazing venue, the perfect November weather, & every little detail that made this wedding an absolute joy to capture! Remember their sweet rainy day Engagement Session? Silver Oaks Chateau is one of those rare & amazing venues that has been thought out so well - there is so much attention to detail that literally everywhere you look is lovely. I mean, just look at that ceiling through the window in the first image! I can't wait to capture lots more weddings here in the future! Madee & Tony have been such a joy to work with! They are one of those couples that just falls into each other & you can really tell how much love they share by how they look at each other. I was fighting back tears this whole day because it was just so sweet! I hope you enjoy scrolling through all of the beautiful images from their perfect fall wedding (I must warn you, it's a doozy...I had a hard time narrowing down what images to show because they were all so wonderful!). Every couple in the wedding party came in to their own song & did a little dance - it was so fun & unique! Tony & his groomsmen even serenaded Madee to "You've Lost that Lovin Feeling" after they entered. The DJ also had cards on each table with the title to a famous song, show, or movie & when you heard that song played it was your turn to hit the buffet...my table was Friends. haha It was such a fun way to dismiss the tables. What a beautiful couple with an equally beautiful wedding day! Thanks again for inviting me to share in so many beautiful memories with you Tony & Madee - I know there will be so many more in the future & I'm already looking forward to them!